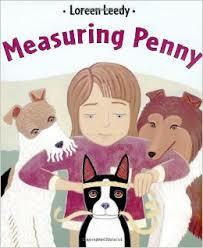 Come to a family storytime and see how long…or tall…or far away…or strong…we can measure! The Trove has 12 new math and science themed Bag-A-Tales and we're doing storytimes to demonstrate the books, activities and crafts that you'll find in each of these storytimes in a bag! Each new bag contains fiction and non-fiction books plus learning materials, activities and suggestions for using the books with children in preschool through second grade. Come in with your children on Wednesday, March 11 from 7:00 p.m to 8:00 p.m. and be ready to measure!The new Bag-A-Tales and storytimes are funded by the White Plains Library Foundation through a Target Early Childhood Reading Grant. Tags: children, storytime, Target grant, and The Trove.